Denso (previously known as Nippondenso). In 1949, Nippondenso Co. Ltd was set up in Kariya, Japan focusing on automotive electrical products and radiators. In 1953, Robert Bosch Company and Nippondenso started their technical co-operation. In 1954 as a result of Nippondenso's belief that progress is best achieved through developing people, Nippondenso set up its first technical training centre to develop and improve employees' skills. It has at its core 'Monozukuri Hitozukuri (our performance relies on our people)' and 'engineering and technique, hand in hand'. This ideology continues to this day. Between 1955 and 1959 Nippondenso expanded their business beyond electrical products. This included an Injection Pump Preparation Section, a Refrigerator Preparation Section and AICHI DENSO Co Ltd as a spark plug business. In 1961 Nippondenso became the first automotive parts supplier in Japan to receive the Deming Prize for quality control. In 1965, Ikeda plant and Hiroshima plant start operations. In 1966, a sales office in Chicago, branch offices in Los Angeles and Detroit are established. In the 1970's and 1980's, Nippondenso expanded overseas to include subsidiaries in Germany, The Netherlands, America, Canada, Australia, Thailand and Brazil. Also, a Technical Education Centre and a DENSO Technical College were opened. 1984 was the opening of DENSO Sales UK Ltd and the Nukata Testing Centre used to ensure the performance of products. In 1989, DENSO began manufacturing ignition coils in Barcelona, Spain. DENSO Marston in the UK began producing radiators. During the 1990s DENSO continued to expand such as manufacturing and sales in Italy, The Netherlands, an engineering and testing facility for air conditioning in Munich, Germany. In 1991 DENSO began a joint venture of integrated circuit (IC) cards with AT&T Co, USA. In 1996, Nippon (Japan) was removed from the name and the corporate name was changed to DENSO Corporation to reflect their status as a global company. 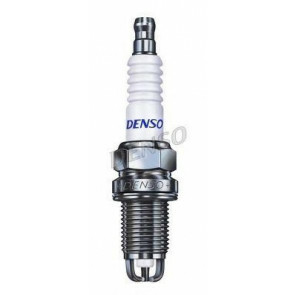 1997 was the year that DENSO unveiled the world's first spark plug with iridium electrode (0.4mm). During 2000 the 'DENSO ECOVISION 2005' environmental management goal was shared globally. DENSO's first overseas regional training centre is set up in Thailand in 2005. Also, 2005 was the year that DENSO opened an engineering and testing facility for diesel engine components in Germany. This is DENSO's first diesel development centre outside Japan. Expansion has continued such as the opening of DENSO Sales Belgium, DENSO Abdul Latif Jameel Co Ltd in Saudi Arabia, incorporating DENSO Thermal Systems in Poland, Russia and DENSO Air Systems Czech. In 2009 DENSO developed the world's first permanently engaged starter and the first passenger car air conditioning system using ejector technology. In 2010 a DENSO Thermal Systems Morocco was established in Tangiers, their second production base in Africa. At present, DENSO manufacture their products at more than 140 group companies around the world with 140,000 employees. 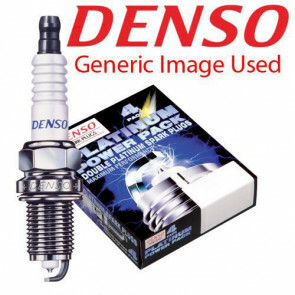 The Green Spark Plug Company and DENSO. -	Using platinum ensures a maximum spark plug life by avoiding corrosion and erosion.